For as far back as I can remember, the coming of spring has meant the coming of baseball. The cut off dates were different for school and Little League and I can still recall how disappointed I was in second grade when most of my friends could sign-up and play baseball, but I could not. The next year I could sign-up for “minors” and I did. I also signed up the next year and the next year and the next year until I have almost lost count. I believe that outside of 1986 and 1987, I have played baseball or softball every year since 1968. If I think about the years that I played on more than one softball team, I guess I have been playing for more than fifty seasons. This evening I had the opportunity to play my first game of 2014. 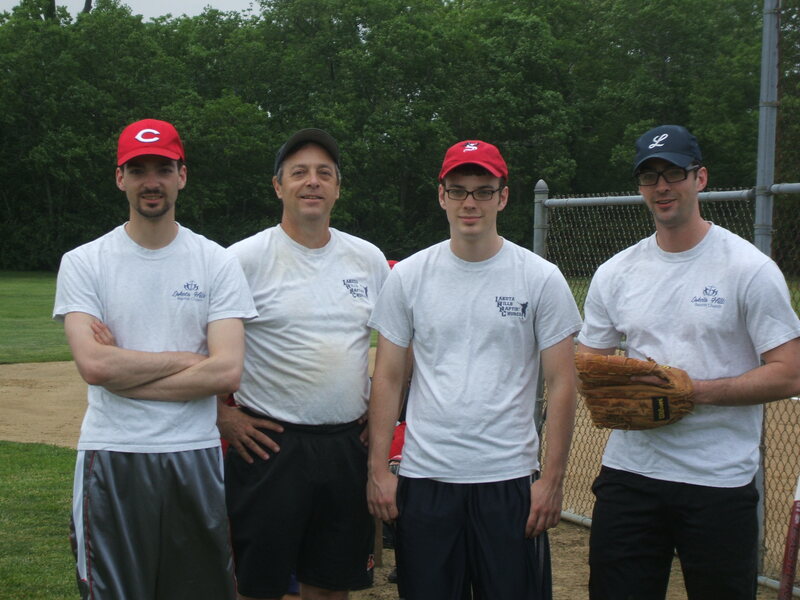 A decade ago, I joked that I was going to play long enough to play softball with all three of my boys. That happened several years ago and I have already been asked if I am going to play long enough to play with my grandson. Across the years a few dreams as well as a few bones have been broken on the diamond. I played on some good teams and some bad teams, some undefeated teams and some soundly defeated teams. Over the five years I made the Shiloh-Ft. McKinley Little League tournament team we won one game and lost six. As a fourteen year-old, I managed to pitch a no-hitter and lose 1-0. One year I stuck out almost fifty percent of the time and the next year I hit over .600. But my baseball “career” was over when I turned sixteen. But I just could not stay away from the game I enjoyed so much and so I turned to slow pitch softball. I have been playing at church ever since with the occasional work team thrown in as a bonus. I can still recall the day I looked at around on the Citizens Bank softball team and realized I was the oldest guy on the team, that was in 1997! Why, at my age, do I keep playing? For fun, when it quits being fun, it will be time to quit. But the anticipation of stepping into the batter’s box, the adrenaline of running down the first base line still trying to run out a hit, those rare instances when I can “see” the ball coming my way just as the batter begins to swing – those things keep me coming back year after year. The hits may not be as frequent and there may be a lot more bobbles between the good plays but every once in a while there is the hit right where I want it to be or the lunge at just the right second that snags the ball and as long as those still happen occasionally, spring will find me once again longing to grab my glove and bat and head out for another game. This entry was posted in baseball, Humor on June 2, 2014 by Leonard. It has been a long time since I had an urge to pick up a foil. …and the same can be said about marathons… “when it stops being fun, it will be time to stop.” Such a great article… and photo of you and the Men!